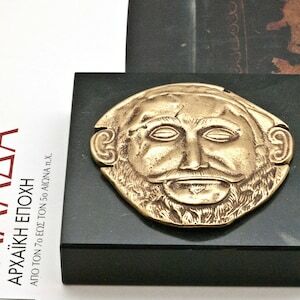 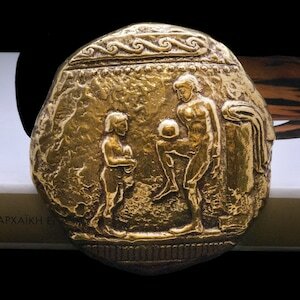 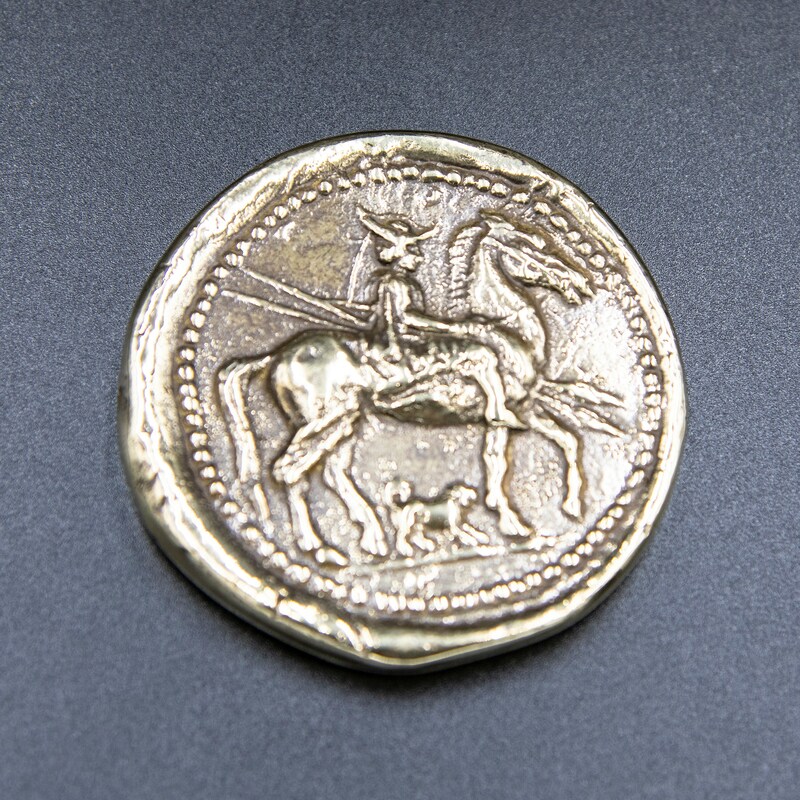 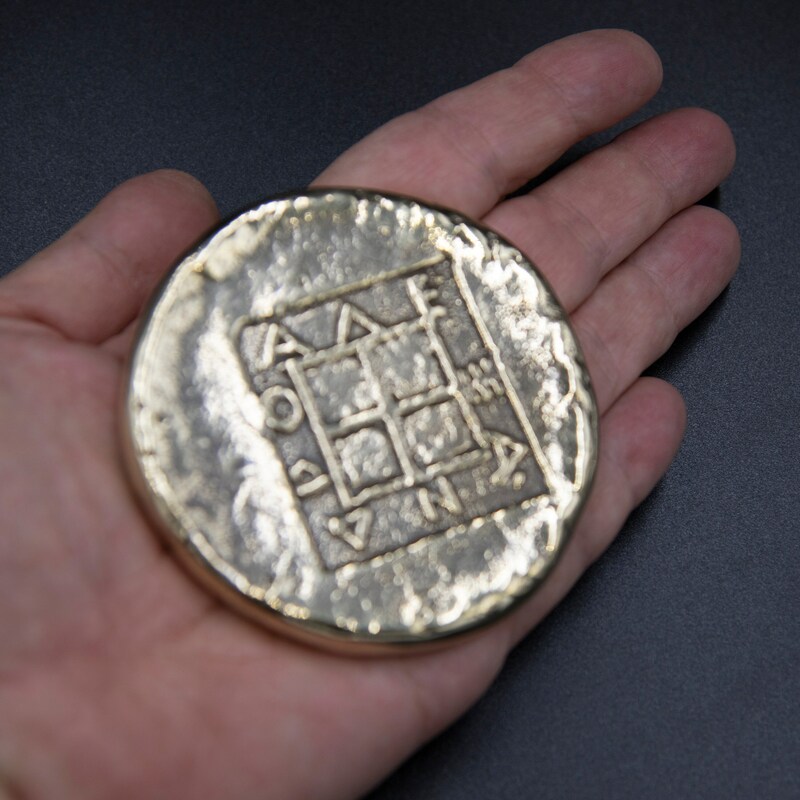 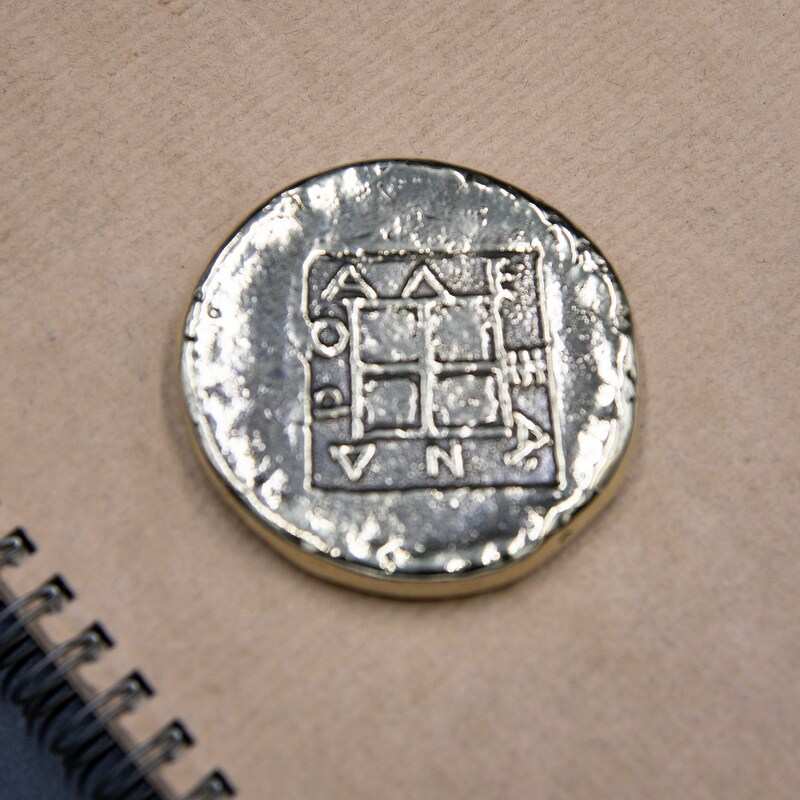 Solid bronze ancient Greek octadrachm coin paperweight replica from the ancient Greek kingdom of Macedon of Alexander I, a successor of Alexander the Great. 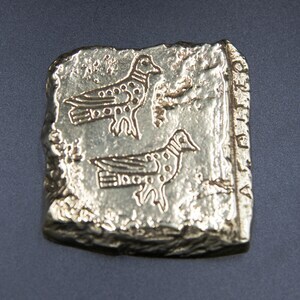 495 -454 b.C. 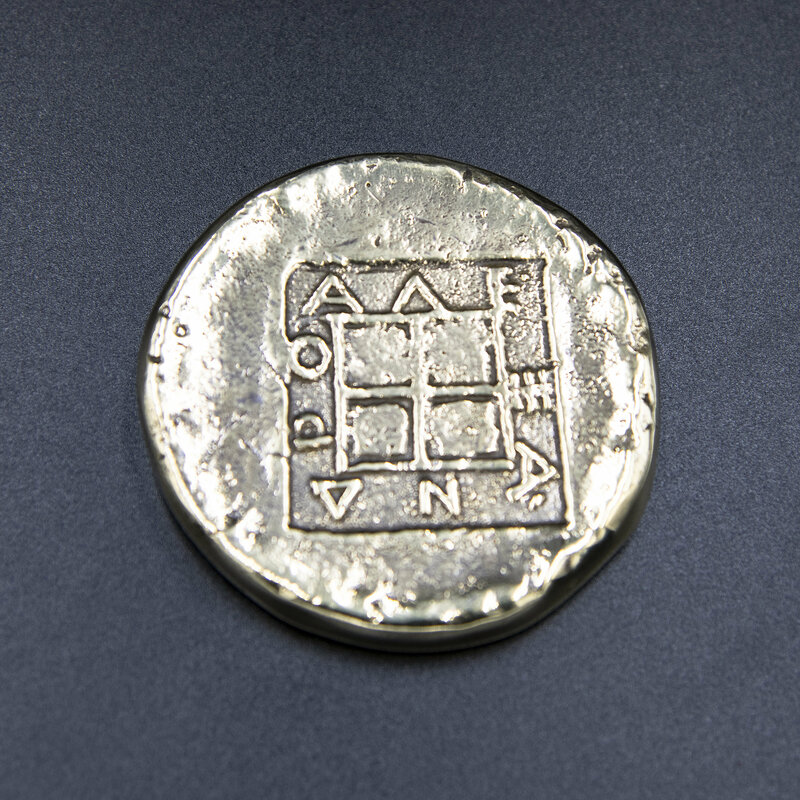 Reverse: Greek inscription ΑΛΕ-ΞΑ-ΝΔ-ΡΟ (Alexander) around a quadripartite square, all within larger incuse square. 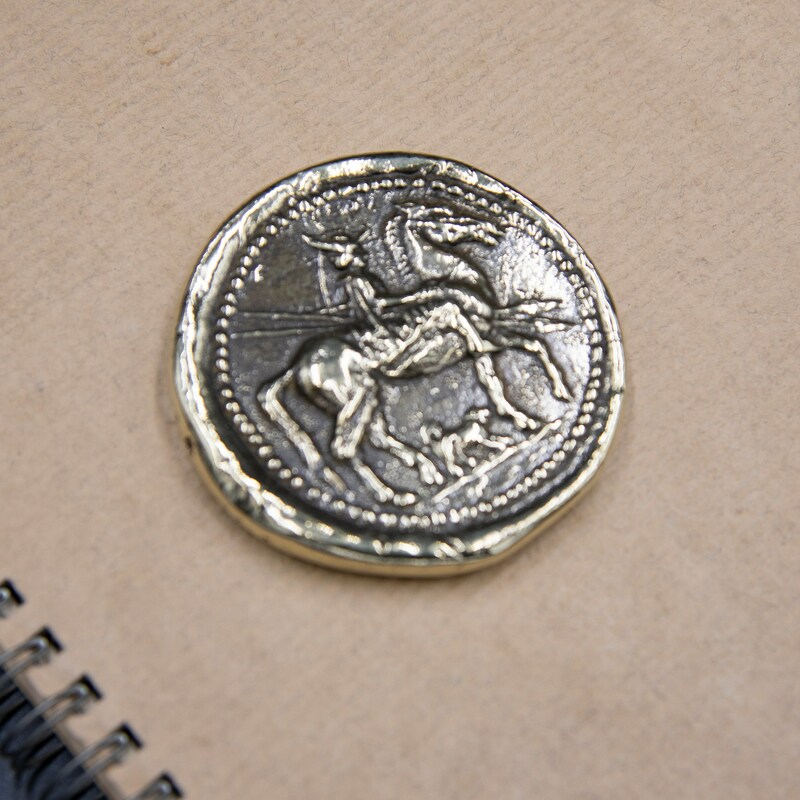 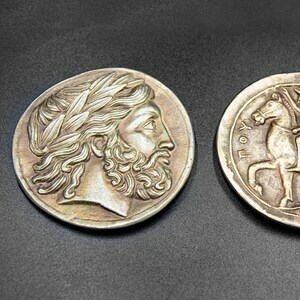 Coin paperweight diameter : 2.8 inches / 7 cm approx. 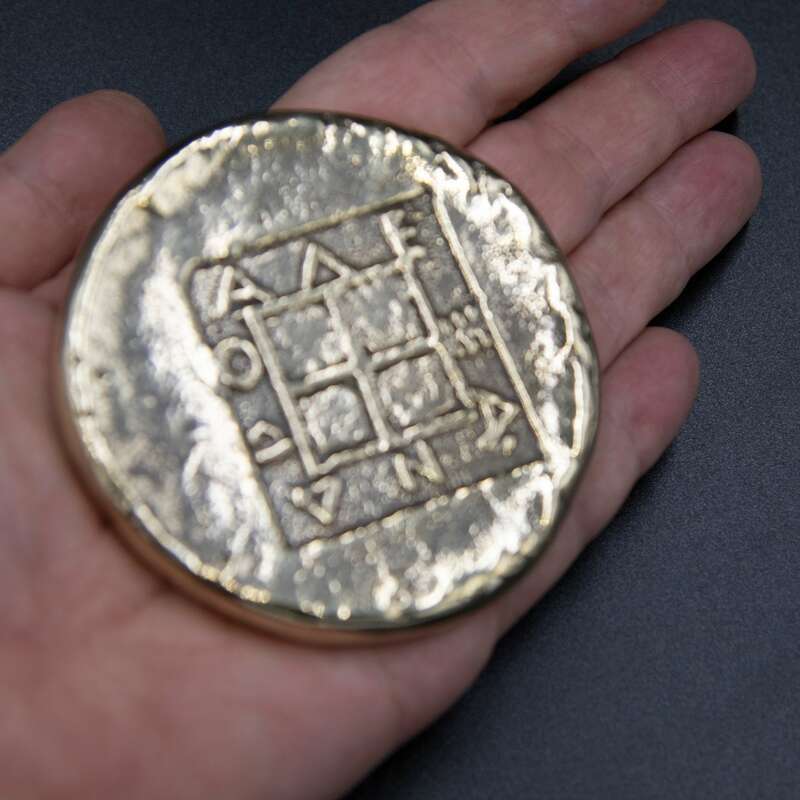 and color may vary slightly.